The butterfly is a symbol of transformation. It reminds us that we are all able to change. We can make choices and we are in control. We can choose to replace the messages that shout ‘You are not enough’ – not hot enough, thin enough, talented enough, popular enough – every time we open a magazine, watch a music video or go into a clothes store. The Girl With The Butterfly Tattoo relates to the butterfly as a symbol of transformation. It reminds us that we are all able to change. We can make choices and we are in control. We can choose to replace the messages that shout ‘You are not enough’ – not hot enough, thin enough, talented enough, popular enough – every time we open a magazine, watch a music video or go into a clothes store. 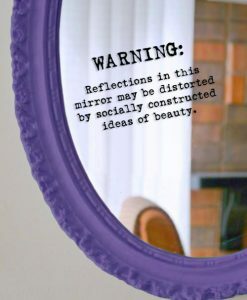 The Girl with the Butterfly Tattoo encourages girls to question the limiting messages advertisers, the media and our culture keep pushing: that a girl’s greatest worth is her looks, and beauty comes in only one size and shape. It inspires and empowers girls to find their strength and be true to their own hearts and minds. Finally a book for teenage girls that does not patronise or attempt to police them! 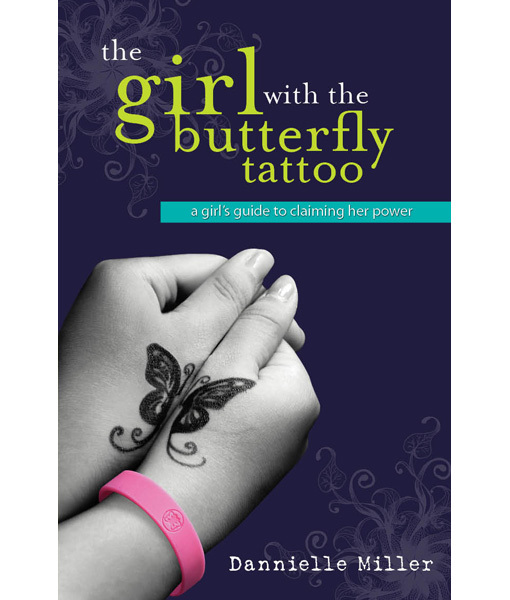 The Girl with the Butterfly Tattoo empowers teen girls to make their own choices. / Nina Funnell writer, women’s rights advocate and recipient of Australian Human Rights Commission Community (Individual) Award, 2010. 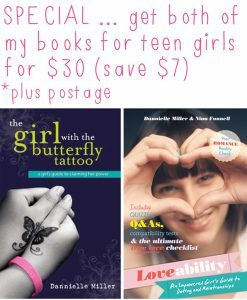 Danni Miller is the big sister every teenage girl needs, offering the perfect mix of resolve-stiffening encouragement, soul-touching inspiration and real-world practical advice. / Emily Maguire author of Your Skirt’s Too Short. International orders welcome – Please email us for all international order enquiries (outside of Australia, New Zealand & Singapore) to ensure accurate shipping quotes.